This rebuilding plan is an urgent project due to the important part our medical room plays in the rehabilitation of all the animals at FWMA. The new medical facility will be a multi-use building about 2600 square feet in size. The primary purpose will be a medical room where the condition of each incoming animal can be assessed and triage performed to stabilize them. The facility will replace our nursery, medical room, laundry room and disease isolation room and eliminate the need for small temporary structures on the property that are also in bad condition. In addition to improving the quality of care for our wildlife patients, the new building will allow us to enhance our training and outreach programs for staff, volunteers, and interns through improved training and work space. 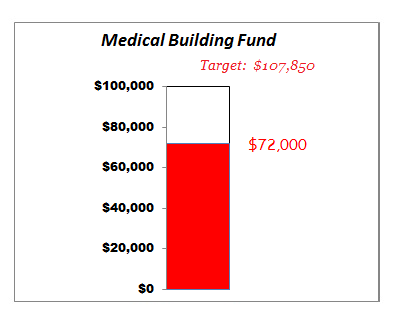 The estimated cost to construct a medical building is $107,850. Project details are available in our printable brochure Building for the Future: Phase II – Medical Building.